The Jousting Life: Charlie Andrews Wins More Than Just Another Tournament at "Lysts on the Lake 2012"
“Lysts on the Lake 2012” was held May 11 – 13 in Taylor, Texas, USA. Jouster Steve Hemphill, creator of A'Plaisance, Ltd, produced this international jousting tournament which included a total of 39 competitors from 6 different countries. 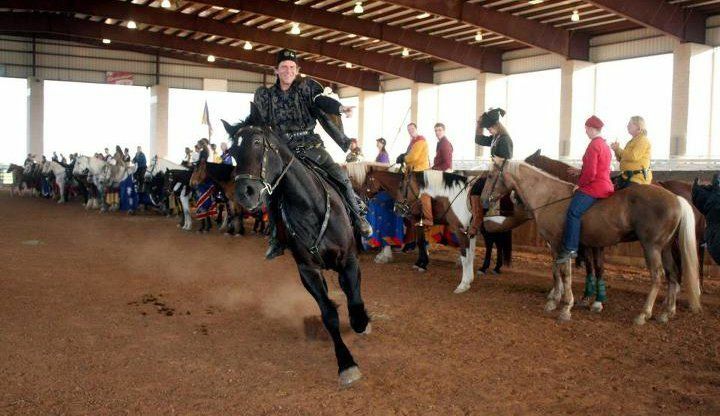 The tournament consisted of four competitions: 30 participants competed in the Joust a'Plaisance, 23 in the Melee a'Cheval, 29 the Mounted Skill at Arms(MSA) and all participants were considered for the Award of Honour. Video of a few jousting passes edited together by a fan. Jousters came from all over the world to compete in this year's "Lysts on the Lake". Many came from the USA of course, but there were also jousters from Australia, Belgium, Canada, France and Norway. Some of the competitors showed up early to take part in the Chivalric Martial Arts International symposium (CMAI) that took place during the three days leading up to the tournament. 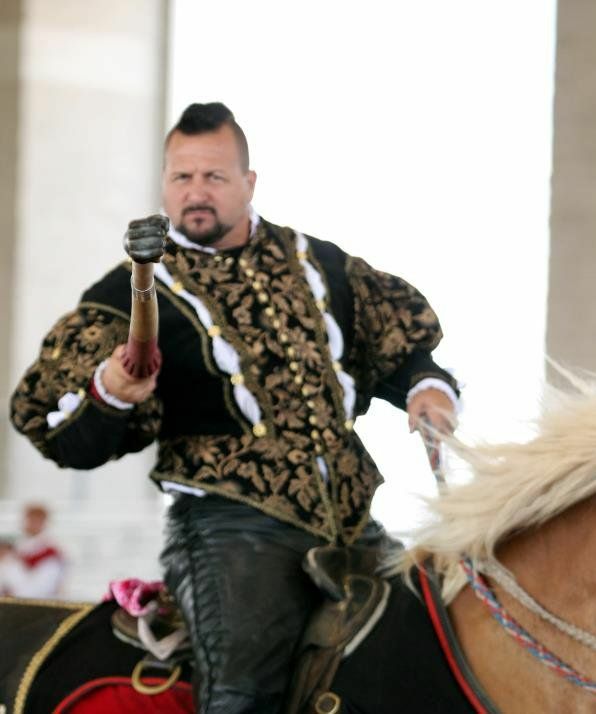 Other competitors were the instructors for some of the various classes offered, including Luke Binks, Theresa Wendland, Scott Wilson and Frederic Piraux(who is also the head of the International Jousting League). Although there was no actual tornado, there were winds clocked at more than 60 mph that knocked down the tilt fence, blew various pieces of equipment around and knocked down several participants' tents. Once the weather let up, everyone worked together to safely return horses to their stalls, restore the arena as much as possible and help those whose tents had come down. Many of the competitors stayed up late that night and arrived early the next day to help the staff, ground crew and volunteers get everything set up again so that the tournament could go on as scheduled. 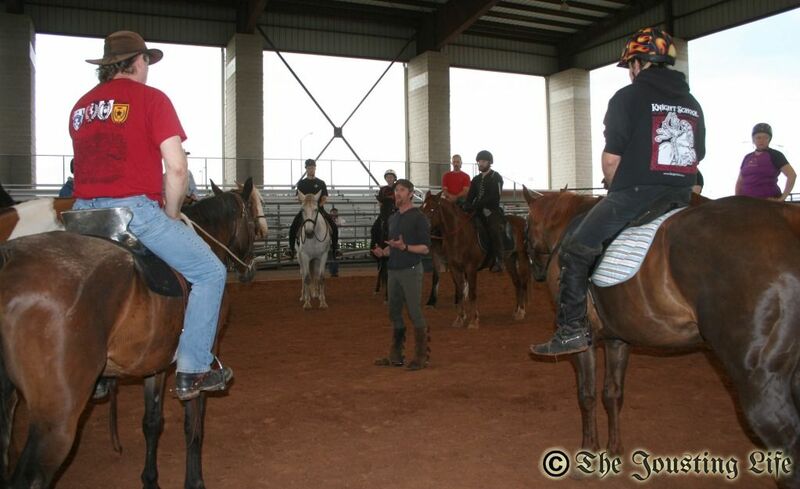 The tournament began on Friday with the first half of the Mounted Skill at Arms (MSA) competition. The Second half of the MSA was held Sunday morning. MSA consists of five smaller competitions: Tilting at Rings, The Quintain, Thrown Spear, Cut and Thrust and Ground Target(aka Pig Sticking). There were 29 participants who competed in the various aspects of the MSA. One of the most memorable was Robin Daniel who, when she missed sticking the “pig” with her spear, dismounted, wrestled the "pig" into submission and stabbed it repeatedly with her dagger. However, the winner of the MSA was Jeffrey Basham on his horse Pooh Bear. The second through sixth place winners were: 2nd Frederic Piraux on Ladybug, 3rd David Young on Boccaccio, 4th Charlie Andrews on Jaegermeister, 5th Xavier Fauvel on Peaches and 6th Andre Renier on Riley. Saturday morning started with the Melee a'Cheval. 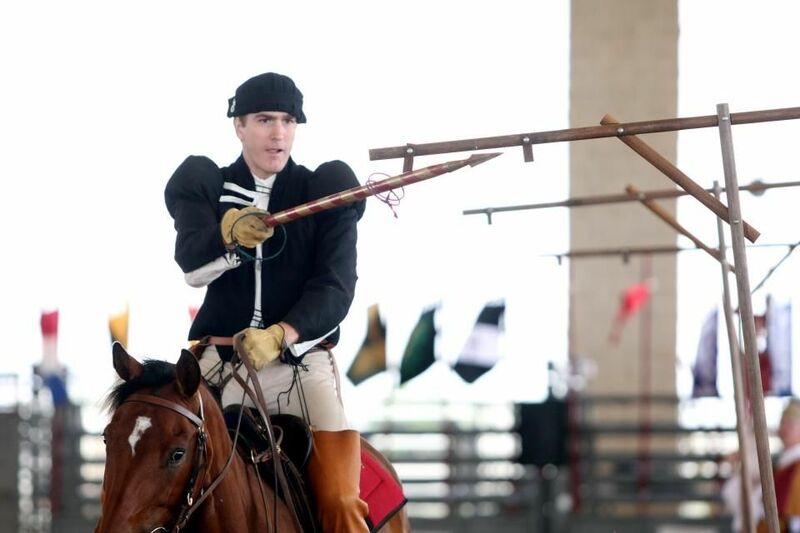 This style of mounted melee has been compared to demolition derby on horseback – though the riders take MUCH better care of their horses, than the drivers do of their cars. 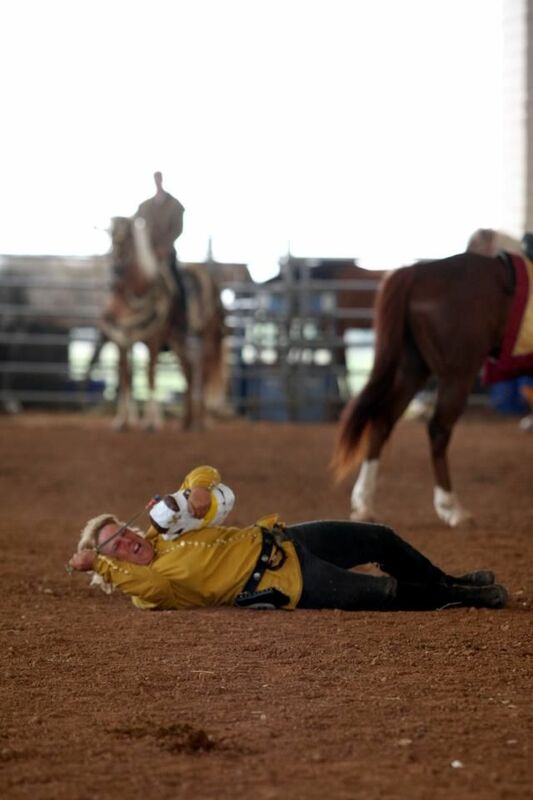 In fact, striking a horse instead of its rider immediately disqualifies any competitor. The rest of the rules are simple. The competitors all take the field against one another and fight until they feel they have received five solid hits. Although there are mounted marshals who act to some extent as referees, this competition depends mainly on each competitor's own honour to withdraw from the field once they have been defeated. There were 23 competitors in the Melee at “Lysts on the Lake 2012”. Sean Gulick outfought all other competitors and won the Melee a'Cheval on Red, a 14.2 hand Missouri Fox Trotter(though according to Red, he is a "Feerless War Pony") that had no trouble facing down the other horses despite being one of shortest horses in the tournament. The second through sixth place winners were: 2nd Jim Myers on Moose, 3rd Scott Wilson on Peaches, 4th Dustin Stephens on Sampson, 5th Dave Wise on Pandora and 6th Charlie Andrews on Jaegermeister. Theresa Wendland came in 7th place and was the highest ranking female competitor in the Melee. She was riding Cash, a 15.1 hand 24 year old paint. Both Red and Cash are trained by Jen Jobst, Sean Gulick's wife. There were 30 competitors in the Joust a'Plaisance, which was fought as a modified challenge tournament, rather than a bracketed elimination tournament. Each competitor got the chance to hold the field as tenan and face four challengers (venans). Each competitor also played the part of challenger at various times throughout the tournament. 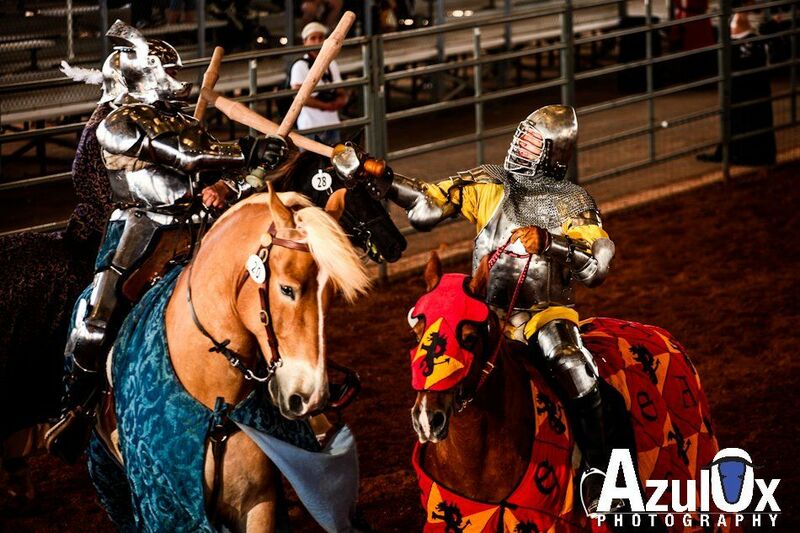 Each jousting pass could earn a total of 4 points. However, since some competitors ran a few more passes than others, the overall score for jousting was determined by dividing each competitor's total points by the number of passes they made. Therefore the highest possible score would be a perfect 4.0. Charlie Andrews on Jaegermeister (and Dale Walter's rather green horse Baron for a few passes) came closest to earning that perfect 4.0. He earned 4 points on all but four of his passes, and on those passes, he earned 3's. His final score was 3.8333. The second through sixth place winners were: 2nd Scott Wilson on Plum(3.7143), 3rd Luc Petillot on Lucky and Earl(3.5), 4th Lloyd Clark on Maggie the Awesome(3.3333), 5th Xavier Fauvel on Peaches(3.25) and 6th Luke Binks on Tinkerbell and Ladybug(3.2381). One of the things that differentiated “Lysts on the Lake” from many other jousting tournaments was that the competitors were judged not just on their physical skills, but also on their behavior towards others both on and off the lyst field. At Lysts, you did not see or hear the kinds of fights and arguments that were depicted on certain tv shows about jousting. Instead you saw competitors loaning each other equipment and horses, helping one another to fix last minute problems, and squiring for their fellow competitors when they themselves were not busy competing. Competitors would also go out of their way to be polite and friendly to the ground crew, staff and volunteers helping with the event. There was a sense of camaraderie among everyone involved. Perhaps the competitors were just trying to impress the Lady of Honour and her informants, but perhaps not. Whatever the reason, it was very difficult for Dawn Hemphill, the Lady of Honour, to choose the recipient of the Award of Honour this year. During the awards ceremony, she mentioned a number of competitors who were strongly considered for the award. What might surprise people who were not at the event, was that she mentioned Charlie Andrews, who received loud cheers for his generosity in helping others before and during the event. When she mentioned Ryan Saathoff, he received a thunderous round of applause for the seemingly endless work he did to help everyone at the event. However, there can only be one winner of the Award of Honour. By the time, the Lady of Honour came to his name, she was so choked up with emotion that she could not list the reasons why he deserved it, she simply mentioned his name, Matt Machtan. The other competitors smiled, nodded and seemed to agree with her choice. What was surprising for many, was Charlie Andrews himself. 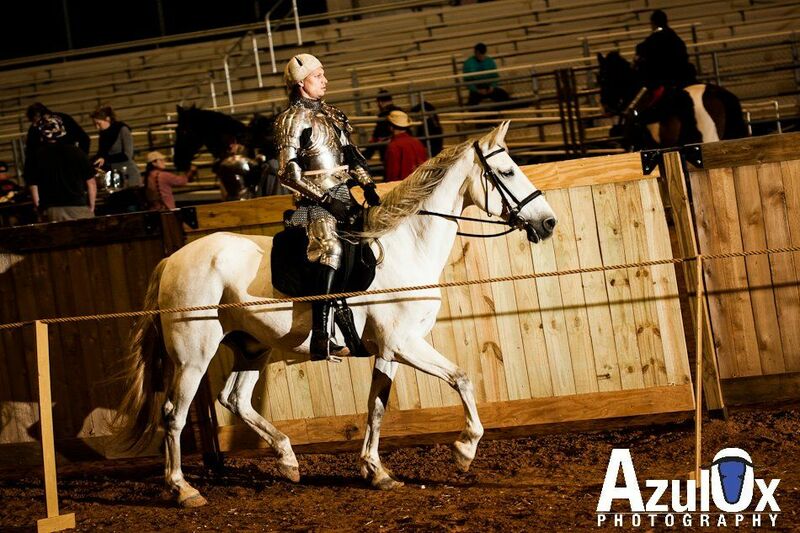 They weren't surprised that he was a great jouster; they were surprised at what a genuinely nice person Charlie is. He may not be your traditional storybook knight in shining armour, but he is far from the villain that the tv show “Knights of Mayhem” made him out to be. 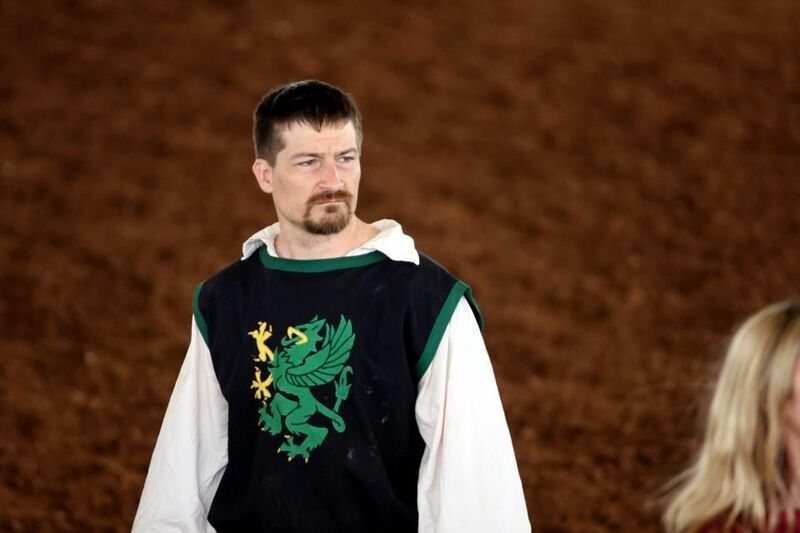 By competing in “Lysts on the Lake” and allowing his fellow jousters get to know him as a real person, Charlie Andrews won more than just another tournament championship, he won the respect of his peers. But there was another champion at this year's “Lysts on the Lake”, a little girl named Alexis. Alexis has been bravely fighting against the dragon of leukemia. 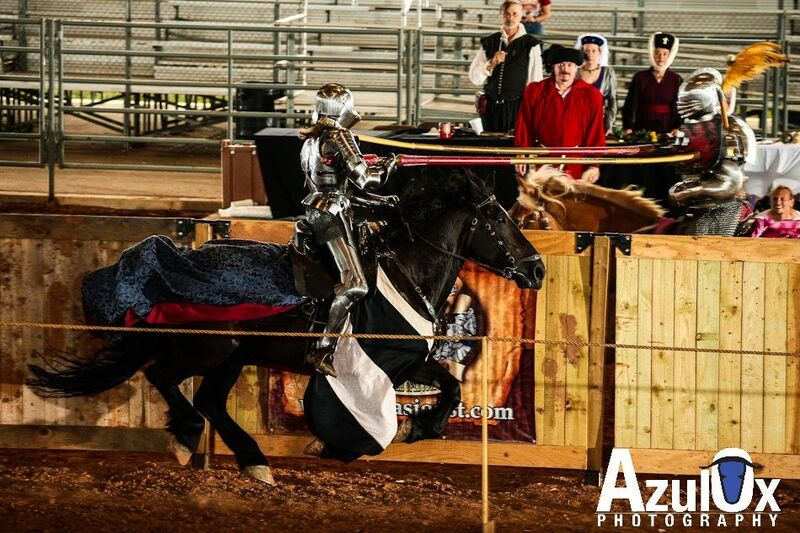 Her bravery in combating this terrifying monster so impressed jouster and true Knight of the Templars, Matt Daniel, that he called her to come onto the jousting field during the award ceremony. In front of all the competitors on the field and spectators in the stands, Matt took off his spurs and gave them to Alexis to honour her brave battle. He also gave her the title of Dragon-Slaying Princess. A wonderful ending to a wonderful tournament. List of Winners at "Lysts on the Lake 2012"
And, of course, Alexis, the Dragon-Slaying Princess. Many thanks for posting this report. Very professional! Sounds like it was an awesome event! Thank you, Callum! I really appreciate that. And it was an awesome event. You should try and come to it next year.